Last month, we got the chance to check out a brand new case from this company called New Trent. 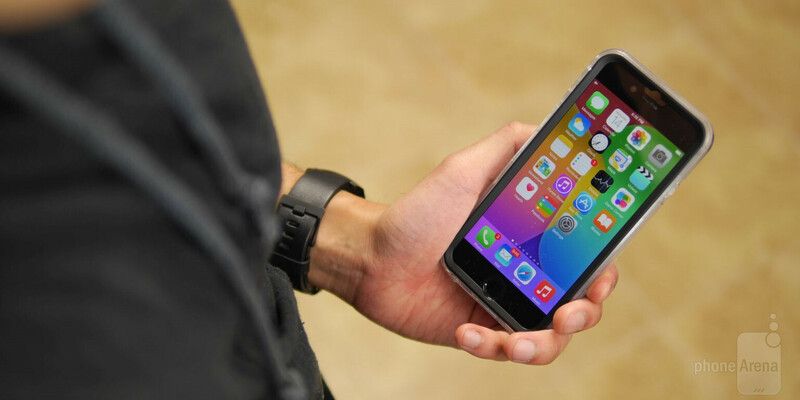 Made to work with the iPhone 6, we came off quite impressed with the New Trent Trentium 6S, not only for its Otterbox-like protection, but also for its hard-to-beat price. Following in the same premise, the New Trent Alixo 6S Case for the iPhone 6 aims to extend the company’s portfolio – while still adhering to a strict, low cost. Clearly, there are similarities between the Alixo 6S and the Trentium 6S, which both rely on this two-piece construction. With the Alixo 6S, however, it features a softer clear plastic casing – so it’s not quite as protective in comparison to the Trentium 6S. Despite that, we will certainly say that we like the form-fitting nature of the case, which doesn’t add much bulk to the iPhone 6’s size. Putting it on, too, is a simple process that requires us to first fit the front portion onto the phone, which is then covered by the tougher plastic rear casing. Visually, the design is a bit too boring for our taste. Yes, there’s a thin film over the Touch ID sensor to permit us usage of it, but the overall look of the Alixo 6S can use some flare and style. Instead, it follows in the same premise of trying to be a rugged case. And with that, it does nicely to protect it against scratches and minor drops, but we wouldn’t go far to say that it’ll be soundly guard against serious drops. Even though we have access to all of its ports and buttons, our main complaint is that the cutout for the 3.5mm headset jack isn’t as wide as we’d like – so fatter audio cables won’t fit properly. At the end of the day, the New Trent Alixo 6S has the all-around protection we’d want in a case. From the back, to its sides, and even the front, everything is carefully protected to ensure that nothing comes into contact with the iPhone 6. Best of all, its $15.95 price point makes it a strong bargain – one that seemingly offers a ton of value for the money. Yup, it’s one cheap case, but at least it has enough features and decent protection to keep the iPhone 6 looking free from blemishes.